Here’s a scenario with an outcome that will probably surprise you. You’re riding your bicycle on a residential street, and are doing so in a completely safe manner. You’re riding at a safe speed, in accordance with all traffic laws. Suddenly, someone walking their dog on the side of the road lets the dog loose, and the dog bolts toward you. You try and avoid the dog, but unfortunately you are unable to do so. You hit the dog, which results in your ejection from the bicycle. Thankfully, you are wearing a helmet. Still, the impact with the ground causes severe fractures, requiring surgery, and a months-long rehabilitation process. Common sense might lead you to believe that the person who let the dog loose is responsible for this accident, especially since this particular town has a leash law that requires any dog to be on a leash, unless the dog is on private property, or in a designated dog park. You firmly believe that the person who let the dog loose was negligent. Since that negligence resulted in a severe injury, you decide to sue the dog owner. You’ll be surprised to learn that under these facts, you would probably lose that case. New York Courts do not permit owners of domestic animals, including dogs, to be sued for ordinary negligence, and it doesn’t matter if the injury results from a scenario similar to that above, or from a dog bite. Instead, New York dog owners can only be sued if the owner knew or should have known of the dog’s “prior vicious propensities”. That means that in order to sue for a dog bite, or any other injury caused by a dog, proof is required that the owner had reason to know of a dog’s likelihood to cause injury. It doesn’t matter at all if a dog owner violates a local leash law in letting a dog run loose, if a dog is loose on its owner’s property and bites the mailman, or if your friend’s dog bites you while you are a guest in a home. Unless there is proof of prior vicious propensity, that lawsuit will probably fail in New York. Proof of “prior vicious propensity” is not necessarily confined to prior bites; you can prove prior vicious propensity by showing that a dog growls, or bares its teeth. 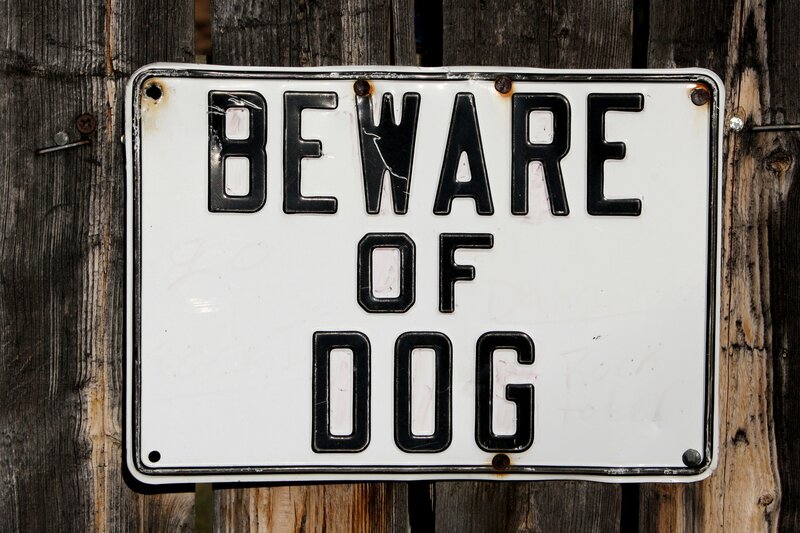 Proof of prior vicious propensity can include a “Beware of Dog” sign on an owner’s yard, or proof that a larger dog tends to jump, and knock over people. Of course, evidence of prior bites can also serve to prove prior vicious propensities. The law is different in the case of farm animals. A driver in a rural area who strikes a cow or other farm animal allowed to wander onto the roadway would probably be successful in a negligence suit against the animal’s owner. Over the last two years, the New York Court of Appeals, New York’s highest Court, has ruled in cases involving a dog and a farm animal (specifically a cow), with facts similar to those indicated above. The law is now clear in New York that lawsuits against owners of domestic animals require proof of prior vicious propensity. If one is unable to prove that an owner knew or should have known of the dog’s likelihood to cause harm, the lawsuit will probably be unsuccessful. The White Plains injury lawyers at Worby Groner Edelman keep up to date on current trends in the law. Our affiliation with the New York State Trials Lawyers Association and access to computerized research databases give us full knowledge of the latest Court cases. Contact us for a free consultation if you have been bitten or injured by an animal, or if you have been injured in any type of accident. We’ll answer all of your questions, and we’ll give you a frank and honest assessment of your particular situation. There is never a fee unless we are successful.